For years, many have believed the British soap opera Emergency Ward 10 (1957-1967) was the first television show to feature an interracial kiss in 1964, with Star Trek (1966-1969) following up four years later in the United States. But in 2015, footage of an earlier occurrence was uncovered at the British Film Institute’s National Archive: a Royal Court production of the play You in Your Small Corner, televised live on ITV in 1962. Written by Jamaican-born playwright Barry Reckord, You in Your Small Corner was about a middle-class Jamaican immigrant who moves to the Brixton district of London, England, and begins dating a working-class white woman. For the Royal Court production, the playwright’s brother, Lloyd Reckord, shared a kiss with white actress Elizabeth MacLennan. Not only that, a post-coital scene showed the characters getting out of bed and getting dressed. 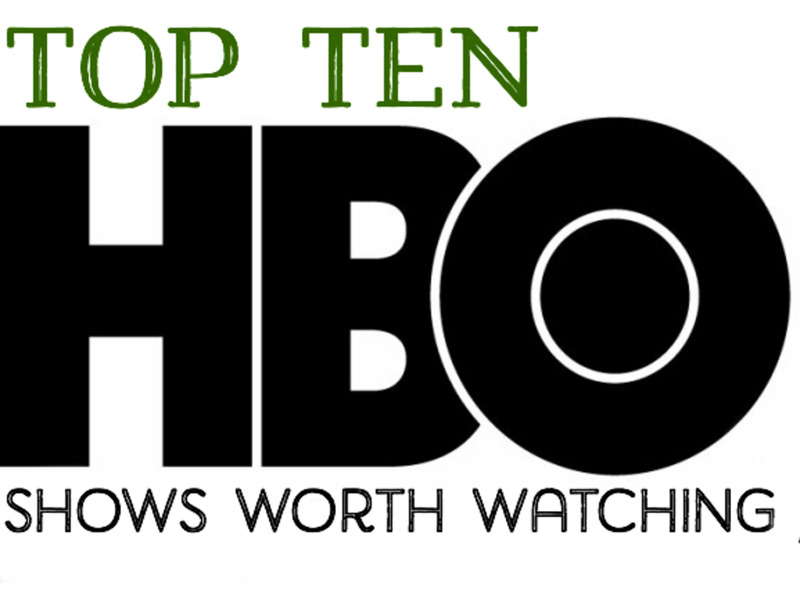 In the age of Game of Thrones, character deaths on television are fairly commonplace. Surprisingly, the first major death on television occurred on a family sitcom, a genre not often known for killing off characters. Make Room for Daddy starred comedian Danny Thomas as a fictionalized version of himself: a successful nightclub singer struggling to balance his career with his family life. It was clean, wholesome entertainment that usually ended its episodes in song. Unfortunately, Thomas resented having Jean Hagen play his wife, as the two never got along. One day Hagen walked off the set after an argument and refused to come back, leaving producers with a dilemma on their hands. Since this was the 1950s, writing a divorce into the show would have been taboo. So they killed her off. This decision proved to be unpopular with viewers, as ratings began to slip. Thomas’s character was given another love interest and even proposed to her, but ABC cancelled the show after three seasons. Luckily, the show was picked up by CBS, retitled The Danny Thomas Show, and ran for eight more seasons. 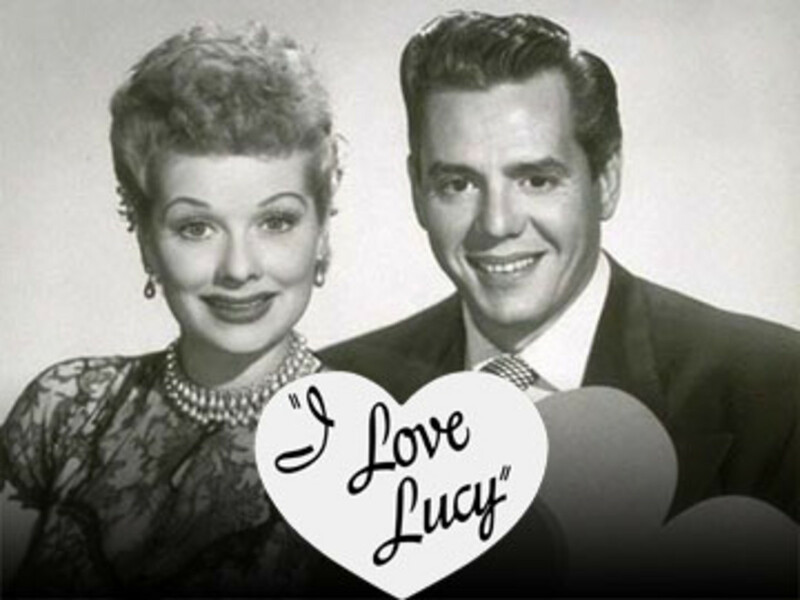 I Love Lucy, which starred real-life married couple Lucille Ball and Desi Arnaz, was groundbreaking in many ways. It was produced by their own company, Desilu Productions, and was one of the first TV shows to use the Three Camera System. 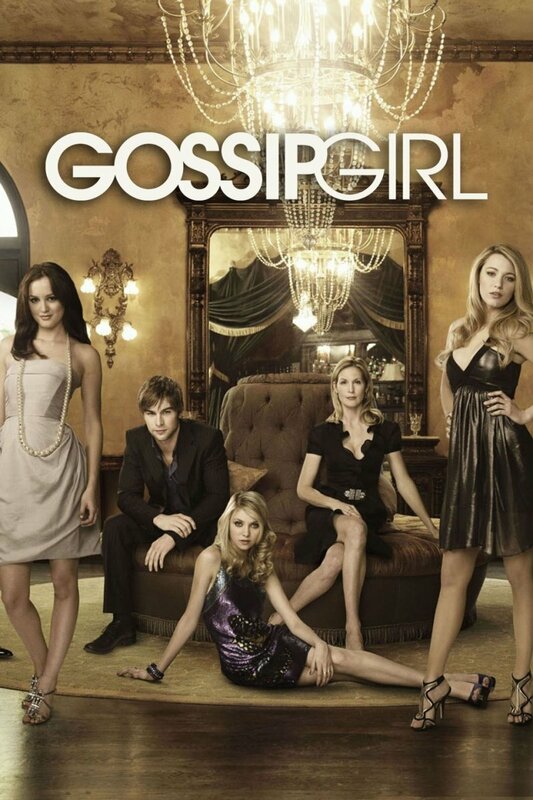 The show was filmed in Hollywood during an era when TV was mostly filmed in New York. When Ball became pregnant with the couple’s child, her pregnancy was written into the show. It was the first time a pregnancy was explicitly referenced and incorporated into the plot of a TV show. In 1953, she gave birth to Desi Arnaz Jr.
At the time, I Love Lucy was running one new episode per week, and these episodes were performed live. Arnaz wanted to give his wife some time to rest, recover, and spend time with their son. So he replayed episodes from the first season to keep viewers entertained while Ball took her maternity leave. Once the other producers saw the benefit of replaying episodes, they began filming 39 episodes per season with a 13-week period of reruns during the summer months. Reruns soon caught on and became the norm for all TV shows. Many shows from the 1950s have been colorized after the fact, as most of them didn’t have the budget or technology necessary at the time to be produced in color. 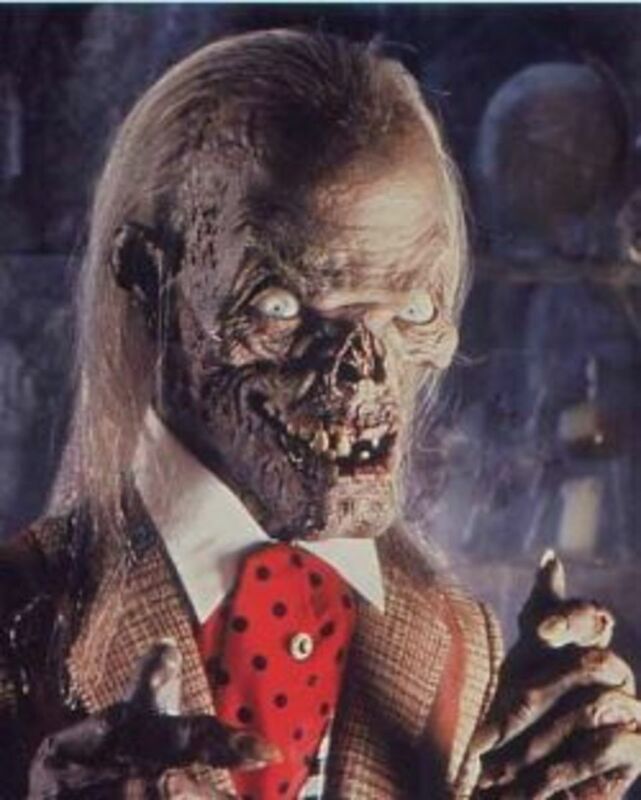 But color on television wasn’t completely unheard of during that time. The Cisco Kid was an American Western series about a pair of heroic Robin Hood-type outlaws who serve as a foil to corrupt law enforcement officials. It was based on the short story The Caballero's Way by O. Henry, published in 1907. 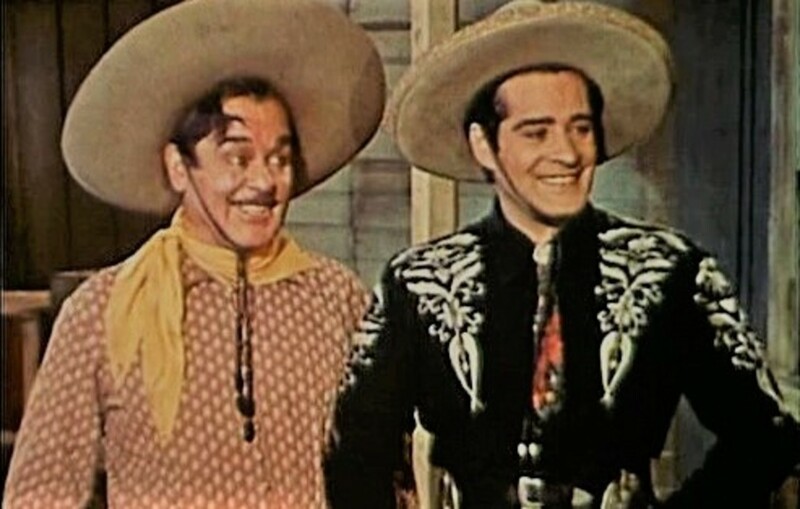 Debuting in 1950, The Cisco Kid was the first syndicated hit series and the first show produced in color from its first season on. However, since many broadcasts were still in black and white at the time, most viewers didn’t see the show in color until the 1960s. The first show to be broadcast solely in color was The Marriage (1954), which starred real-life married couple Hume Cronyn and Jessica Tandy. 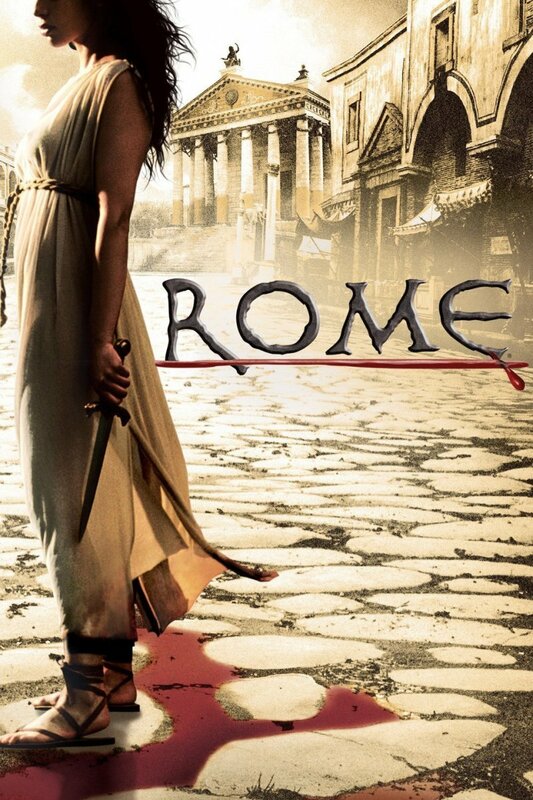 The series was acclaimed by critics but put on hold when the couple embarked on a theatrical tour. Though there was talk of continuing the series, it never ended up happening. 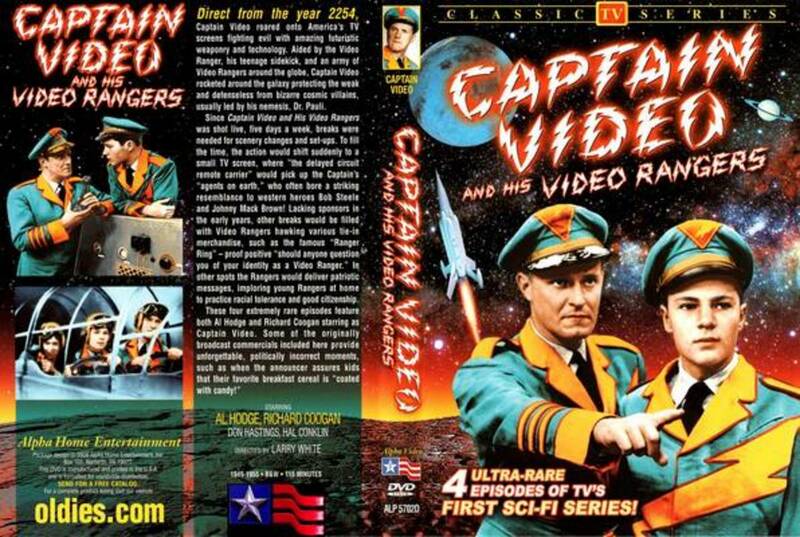 Though Star Trek is the longest-enduring science-fiction series, having maintained its popular appeal since the original debuted in 1966, the first series of its genre was Captain Video and His Video Rangers, a space adventure taking place in the year 2254. The show was recorded live but still made use of innovative filming methods, with dissolves, superimpositions, and lighting techniques making it seem as though Captain Video and his crew were traveling through space and time. It was highly demanding for its technical crew, who had little time to change sets and set up special effects between scenes. Over the course of its run, the show predicted several real-life technological advances, such as portable television screens, two-way radios, and powerful x-ray machines. Surprisingly, it also came in handy for American soldiers during the Vietnam War. When they were taken as prisoners of war and interrogated as to who their military leaders were, several of them responded, “Captain Video.” The interrogators believed them, which allowed the soldiers to escape torture and protect the identities of their real leaders. Some would consider Lucille Ball the first pregnant woman shown on television. 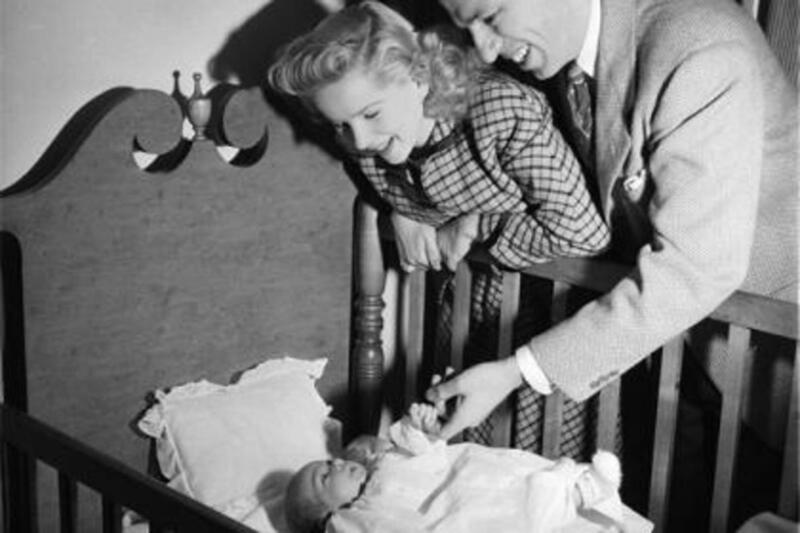 However, it was Mary Kay and Johnny that first wrote the birth of a child into a television storyline—and the first to show a couple sharing a bed. 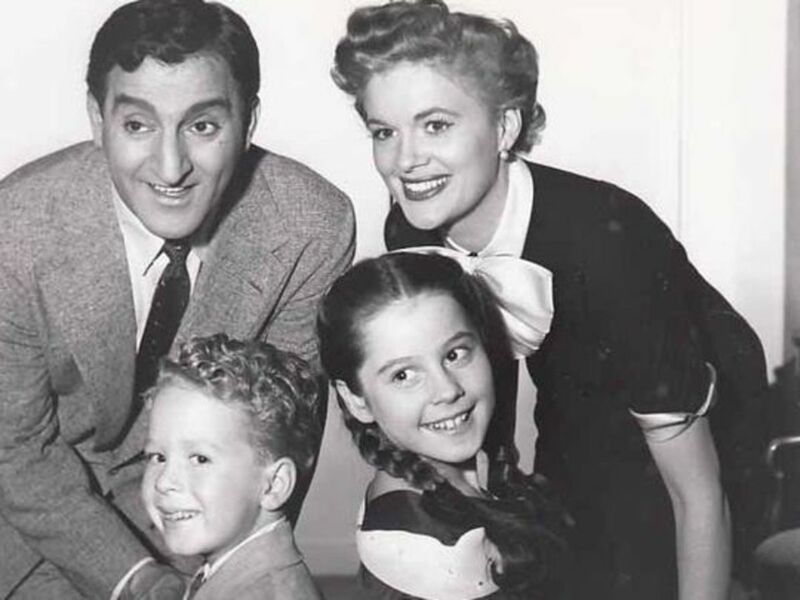 Mary Kay and Johnny, which starred real-life married couple Johnny and Mary Kay Stearns, was the very first sitcom. 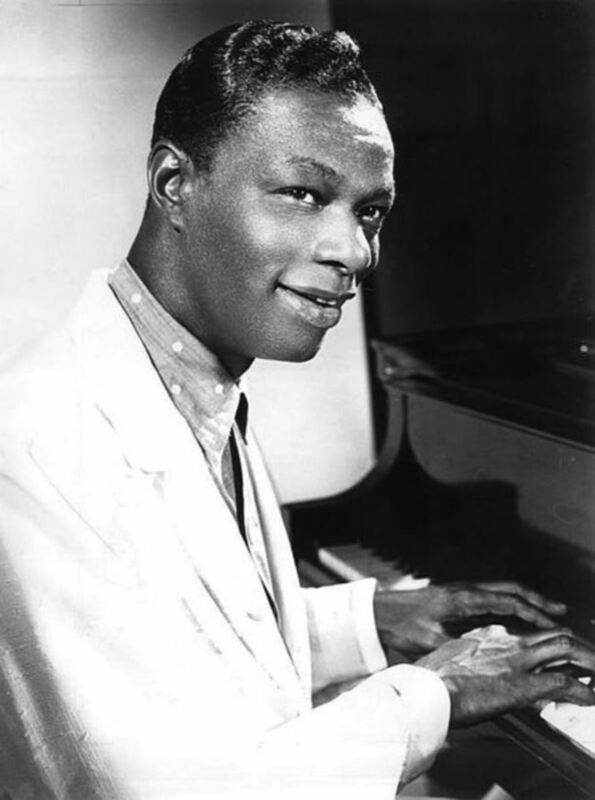 It was performed live and ran for three years on Dumont, NBC, and CBS. Unfortunately, it was never recorded, so no footage has survived. When Mary Kay became pregnant, she kept performing, but the pregnancy was hidden and never mentioned on screen. However, the birth itself was later written into the script. On the night that Mary Kay went to the hospital to give birth, Johnny performed the show solo, nervously pacing on stage in anticipation of his impending fatherhood. At less than one month old, their son Christopher joined the show, having been an off-screen reference prior to that. Though The Cisco Kid (1950-1956) and The Marriage (1954) were the first shows produced in color from the first episodes on, the first demonstration of color television was a 1949 episode of the series Kukla, Fran and Ollie. At the time, the Federal Communications Commission was testing the RCA’s line-sequential color system. That same afternoon, the episode was performed live a second time for its regular black-and-white broadcast. Thankfully both versions have survived and are available on the DVD collection. 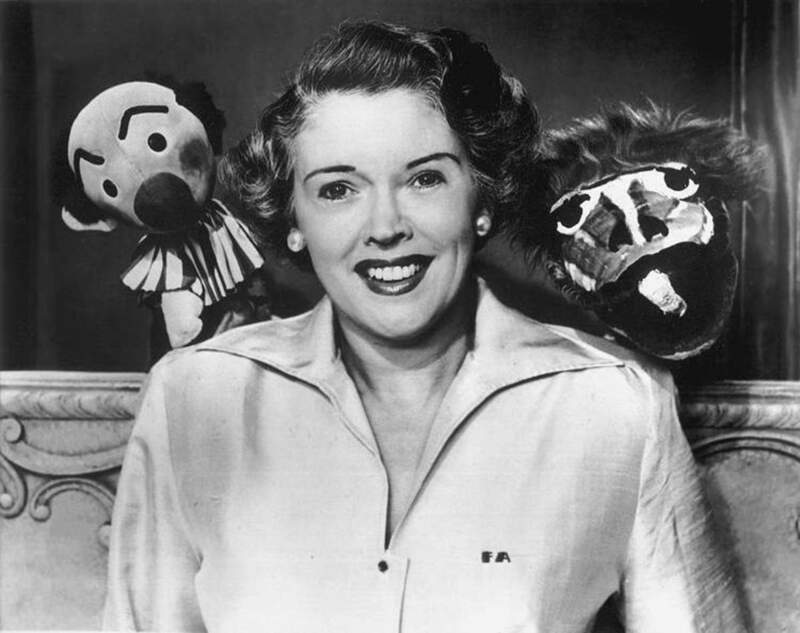 One of the first shows aired nationwide, Kukla, Fran and Ollie centered on the antics of the Kuklapolitan Players, a theater troupe consisting of twelve puppets and one human, played by radio actress and vocalist Fran Allison. The other main characters were a clown named Kukla and a mischievous dragon named Ollie. The show was massively popular among both children and adults, with the cast receiving as many as 15,000 fan letters a day. It was nominated six times for the Emmy Award for Best Children’s Program, winning once in 1952. Many believe that The Wizard of Oz (1939) was the first film to be broadcast on television. But that’s not entirely true. 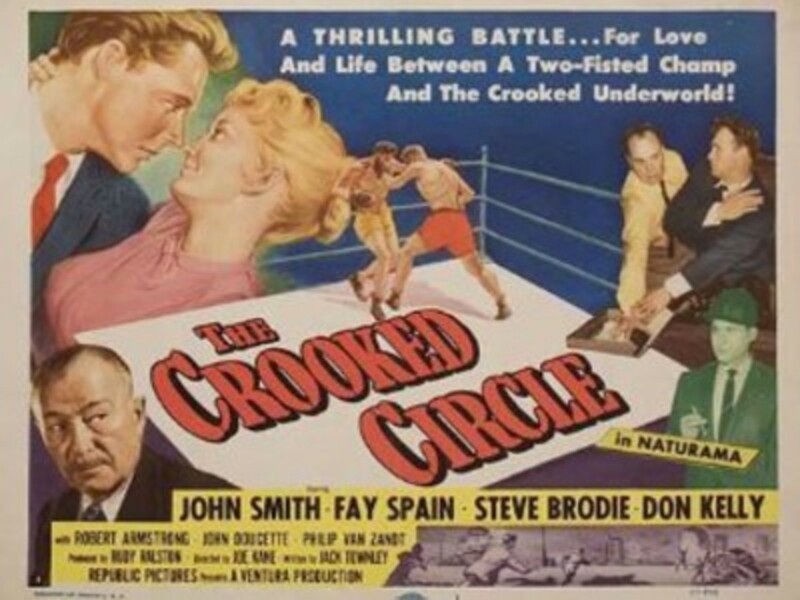 The Crooked Circle (1932) was a film about a group of amateur detectives who set out to expose a secret group of occultists. One year after it was released, the Don Lee Broadcasting System in Los Angeles screened the film over their experimental station, W6XAO. As few people owned TV sets at that time, only half a dozen of fewer households had the opportunity to view it. In 1940, The Crooked Circle was shown again on NBC’s experimental station, now named WNBC-TV, in New York City. In 1951, NBC became the United States’ first nationwide TV network, and televised the Academy Awards for the first time in 1953. As television viewing became more popular, attendance at movie theaters began to decline. So by 1955, major Hollywood studios were selling the rights to their pre-1948 films for television viewership. On November 3rd, 1956, The Wizard of Oz became the first film broadcast on TV during prime time. 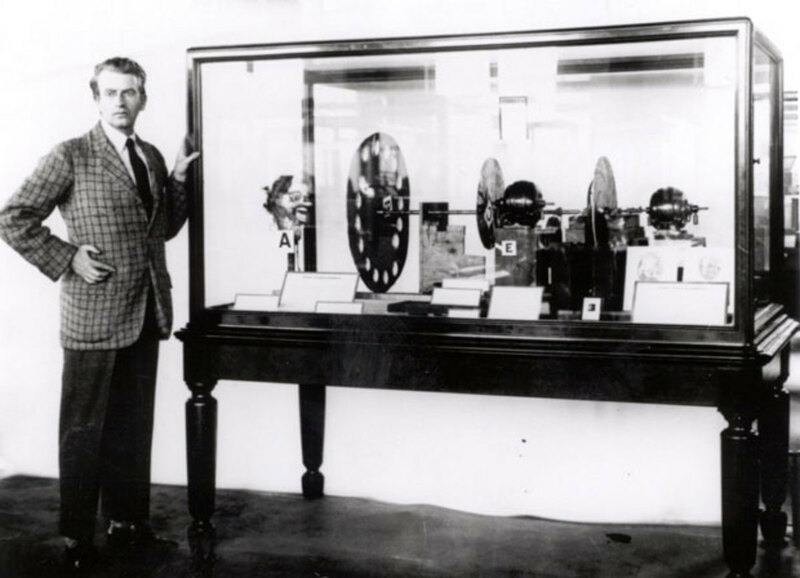 Though television sets were not available to the American public for purchase until 1939, the first public demonstration took place on January 27th, 1926, courtesy of Scottish inventor John Logie Baird. Baird had expanded on the work of German scientist Paul Nipkow, who patented his ideas for a television system in 1884. Though many inventors attempted to develop this invention, Baird was first to produce clear images, which he showed to an audience in London. At the time, Baird called his invention a “televisor” and used mechanical rotating disks to scan moving images and transmit them to screen. In January of 1928, Baird traveled to New York to spread the word about his creation. Just four months later, a handful of households were given prototypes built by General Electric for the purpose of experimental broadcasting. After over a decade of development and innovations, TV sets were both demonstrated and sold at the New York World Fair in 1939. Franklin D. Roosevelt gave the opening address at the Fair, becoming the first president to appear on television. On July 1st, 1941, both CBS and NBC were granted the first commercial television licenses for their New York stations. That day is now considered The First Day of TV, as all prior broadcasting was experimental.